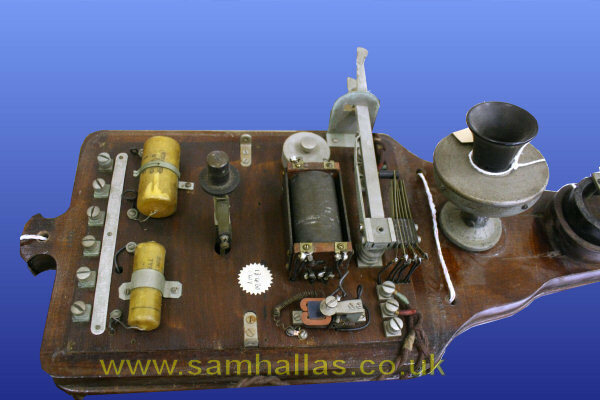 The phonopore was a telephone that could be connected to the same wire as a Morse circuit allowing simultaneous speech and telegraphy. It saved telecomms administrations and the railways a great deal of money towards the end of the 19th Century by removing any urgent need to install new line plant to provide service for the new-fangled telephone. However, it did not start life in quite the same guise…. The simplicity of the principle means that the phonopore required little in the way of adjustment once set up. The Explanation pamphlet contains details of trials which show that the phonopore was capable of working over prodigious distances. John Goldfinch has drawn my attention to a paper presented by Captain P. Cardew in 1886 to the Society of Telegraph Engineers, the forerunner to the Institution of Electrical Engineers. In it he describes tests and field trials of an almost identical system of signalling using a buzzer to generate audio tones which are received on a telephone instrument [Ref 7]. Cardew in turn refers indirectly to Granville T. Wood's patent for communications from moving trains using the same principle [Ref 8]. The patent was filed in 1885 and granted in 1887, Cardew's experiments began in 1881, long before Langdon-Davies's work. Cardew's system proved simple to set up, required no adjustments and worked over long distances, just as the phonopore did some years later. 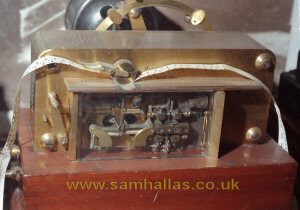 However it is not for long distance telegraphy that the phonopore became widely used on the railways. 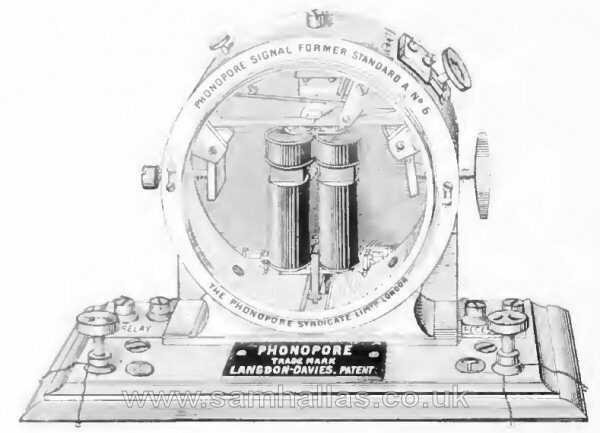 It is reasonable to suppose that by 1892 Langdon-Davies had realised that the phonopore principle was not commercially viable purely as a telegraph, since duplex and even quadruplex circuits could be achieved by much simpler means. So the same year another application was quoted in a New Zealand newspaper [Ref 2]. The inventor has also perfected an arrangement for the application of the phonopore to telephonic purposes. By means of the phonopore, telephonic communication can be carried through an ordinary telegraph wire without interfering at all with the telegraphing. On the Great Western Railway two signal boxes, three and a half miles apart, have been telephonically connected by means of this invention, the telephone being installed on a block signalling wire - a wire which everywhere is sacred to block signalling alone, as the safety of trains and passengers depends on the communication being kept free from all interruption. The system is found to answer admirably, the two services on the same wire in no way interfering with each other. The late Bob Estreich in his article on the phonopore points out that this application builds on another invention by Francois van Rysselberghe (1846-1893), which allowed the superimposition of telephonic speech on a telegraph line [Ref 5]. Patented in 1882, it was a timely invention allowing network operators to implement telephone circuits rapidly over their existing Morse lines. Captain Cardew in his report tested similar means of superimposition. 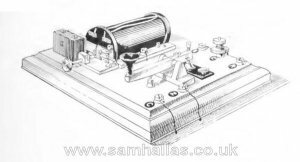 He described a device which he dubbed a 'separator' consisting of a magnet (inductor) between the regular Morse apparatus and line with a condenser (capacitor) between the buzzer mechanism and line. The newspaper article above makes no mention of how calling was effected, but one assumes the phonopore was used as a calling indication. 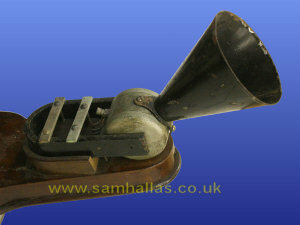 Fitted with a horn the Collier-Marr receiver became an effective loudspeaker or howler for the calling signal on the phonopore telephone. 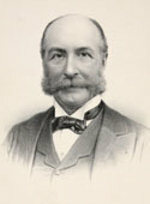 Although the phonopore was based on existing inventions or published work, nonetheless Langdon-Davies was able to patent it. The novel principle being the creation of a 'separator' by the closely coupled windings in the transformer instead of a discrete inductor and capacitor. The prejudice Spagnoletti refers to may be what Chief Telegraph Engineer to the Midland Railway, William Langdon (1832-1905), refers to in his treatise on electricity in railway working. One assumes that this was an effect of using single wire circuits with earth return. Once telephone circuits became balanced pairs this interference could be expected to cease. 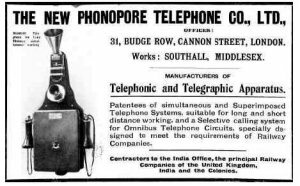 Phonopore telephones were manufactured by Langdon-Davies' firm, The Phonopore Construction Co Ltd of Southall, London. Parts such as the transmitter and receiver were imported from Kellogg in the United States. The suspicion is that the established UK manufacturers were not very happy with this Johnny-come-lately company and tried to shut it out. Why else would there be the need to buy parts from the USA? Later the company became The New Phonopore Company following a refinancing operation. Phonopores were evidently exported to many countries overseas, including Australia, Argentina and Uruguay. Western Electric developed a system in America on similar principles which they called a composite circuit, combining a Morse telegraph and a telephone with audio frequency calling. 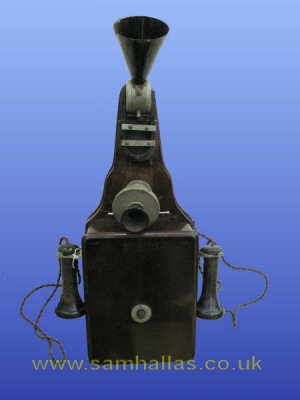 Similarly, British Insulated and Helsby produced a rival instrument called the Phantophone. One might suppose that the phonopore would have passed out of use by the 1930s. However, even then, the London and North Eastern Railway included circuit diagrams for maintenance in its book of standard diagrams. Although there might have been few new lines needing it, the phonopore remained in use well into the 1950s in rural areas. Many minor branch lines had pole routes with only a single arm leaving no space for the two extra wires for a telephone. Extra wires would mean a second arm at every pole. 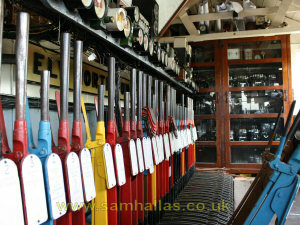 The railways were always reluctant to spend money needlessly so the phonopore circuits soldiered on. Even when the phonopore function was no longer needed, the telephones themselves found new life being converted to standard local battery instruments. The Collier-Marr howler was replaced by a normal trembler bell operated by a relay. Unfortunately this means that original phonopore telephones are comparatively rare in Britain. The telephone pictured above, from the collection of the late Norman Pearce, must be one of the few remaining complete instruments. It is a Type A Phonopore as shown in the North Eastern Railway diagram 30ES199. Finally, let's look inside. From left to right are the following. Terminal strip with terminals for line, earth and the battery, which is split between the microphone and signalling circuits. Two capacitors: furthest is the 'line condenser', nearest is the 'spark condenser'. Circular item is lightning protector. 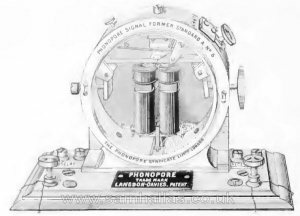 Long object is the phonopore transformer and nearest is the interrupter. Cradle switch and earphone terminals. and just out of the picture is the sounder, or howler. Next: Railway signs What do they mean? Langdon-Davies, Une explication du phonopore, se rapportant plus specialement au télégraphe phonopore simplex/ An explanation of the phonopore, and more especially the simplex phonopore telegraph, in French and English, London 1891. A Telegraphic Discovery, Evening Post, Rorahi XLIV, Putanga 2, 2 Hongongoi 1892. T.E. Herbert and W.S. Procter, Telephony Vol 1, Pitman, London, 1932. Institution of Electrical Engineers, Proceedings Vol. XXV, 1896. Discussion following paper "On Railway Telegraphs, with Special Reference to Recent Improvements" by W.E. Langdon, April 30th. W.E. Langdon, Application of Electricity to Railway Working, E. & F.N. Spon, London 1897. Capt P. Cardew, R.E., The telephone as a receiving instrument in military telegraphy, Society of Telegraph Engineers Proceedings 1886. Thanks to Andrew Emmerson and John Goldfinch for additional information and advice.